This plant was the missing piece around my pond! 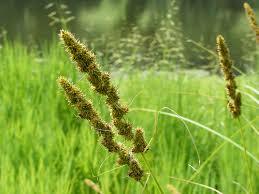 Fox Sedge flourishes well in any condition furthermore spreads well. It all comes down to the sort of plants that you choose to plant. Those searching for a plant that spreads and flourishes will like this plant. TN Nursery is one of the leading online nurseries that offer a portion of the best plants accessible. The plant is a plant that develops well in territories where there is a considerable measure of dampness noticeable all around and soil. The individuals who mainly live in the Midwest will have the capacity to see this plant flourish! When you have a constrained measure of space in your yard, it can be elusive plants that won't merely assume control. The TN Nursery staff will have the capacity to reveal to you what you have to do to keep up this plant. The dirt for the plant should be exceptionally soggy or even wet. You have to verify that you water the plant all the time on the off chance that you don't get a great deal of downpour fall as the year progressed. Pick a spot in your yard that gets full sun and only a tad bit of shade. The plant flourishes in the sun and will, in the long run, cease to exist if you cover it up. In May June and July you can appreciate beautiful blooms. The blossoms are green and will in the long run turn cocoa and tumble off when the fall season goes along. These plants are ideal for those making water gardens or even lakes. 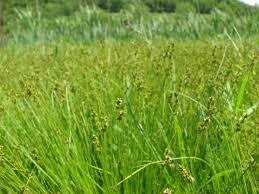 Fox Sedge will flourish in the water and will spread from that point. This is a gorgeous verdant wetland plant and is extraordinary for brightening any home.This green wetland plant looks fantastic and is undoubtedly understood for its appearance which makes it a fun type of grass around the home in specific ranges. It develops well in soggy regions. This is distinguished for its capacity to produce water patio nurseries and wetland ranges look great. This grass looks extraordinary and is ideal for zones around water gardens. Fox Sedge looks astounding around the house and the water garden. Be that as it may, it seems and develops better around the water garden and in zones of the yard where water pools. This will adjust to drier conditions and will spread from your water cultivate as well.